The NHL trade deadline has come and gone. The Minnesota Wild didn’t bring in any big name players like in previous years, nor did they dish off star caliber talent. Instead, Minnesota decided to bet on their current roster. The decision was met with praise from goaltender Devin Dubnyk. “It’s important, it shows that they believe it as well. We have worked hard since Christmas, I think, to show that we can win in here. We’re playing well now. So, it’s nice to get the chance to go prove that.” The Wild instead settled on some minor tweaks. Related: Minnesota Wild: Buyers or Sellers? This past Sunday, the Wild decided to waive enforcer Chris Stewart. The move wasn’t completely shocking, as Stewart has frequently been the odd-man out with 12 healthy scratches since the calendar year flipped. It still is a bit devastating, as he is a good locker room presence. In addition, the Wild have frequently been outmuscled in playoff matches. His departure will surely be felt the most IF the Wild clinch a playoff spot. It isn’t everyday you get a chance to claim a player of Stewart’s caliber off waivers. The Calgary Flames knew this as they scooped him up the following day. Calgary gets a solid player that can contribute immediately. It was only a few months ago when Stewart came bursting out of the gate. He totaled six goals and two assists and his first six games of the season, although he failed to tally a single point in the next sixteen games. Regardless, the former 20-goal scorer is an effective fourth-line player who adds skill, size, and grit. 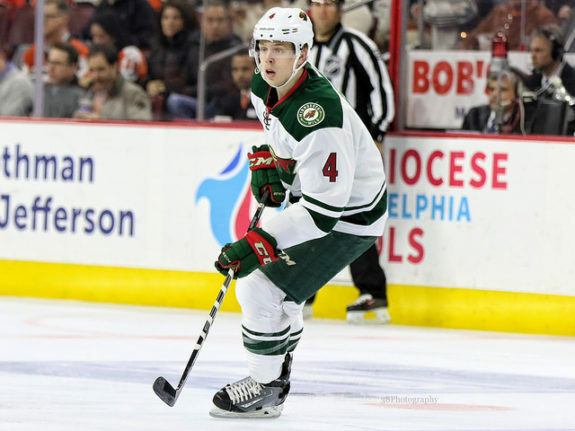 On the same day that Stewart was claimed off waivers, the Wild announced they had traded Mike Reilly for a 2019 fifth-round pick. Personally, I enjoyed Reilly and thought he was a capable defenseman. However, the Wild have a boatload of quality defensemen. Grabbing an additional pick for an expendable player was a smart decision on behalf of Wild general manager Chuck Fletcher. It begins to set things right after practically giving out top draft selections over the last few seasons. Reilly was still the Wild’s worst defenseman. In 85 games with Minnesota, he posted only eighteen points combined with a plus/minus of minus-nine. Those numbers don’t scream consistency or even good defensive play. However, Reilly is still just 24 years old and has time to improve in the NHL. He has very good size and the Montreal Canadiens will get a good look at the young player. In his debut with Montreal, Reilly played a team-high 22:56. He figures to get much more ice-time away from Minnesota. Adding defenseman Jonas Brodin back into the fold will give the Wild a big boost. In his first game back, the young stud had a plus/minus of plus-two and blocked four shots. It is fantastic to have such a quality defenseman make an immediate impact following an injury. Losing Reilly was also made possible with the depth the Wild have in players like Nate Prosser, Gustav Olofsson and Nick Seeler. Prosser was claimed off waivers earlier this season from the St. Louis Blues. He is currently having his best season in the NHL. While far from flashy, Prosser quietly gets the job done. He has eight points to go along with his best career plus/minus of the same number. Seeler, who is currently in his rookie season, posted an assist and a plus/minus of plus-three in Tuesday’s 8-3 victory over the Blues. Minnesota gave up two nice players, but they weren’t holding the Wild back from a Stanley Cup. Acquiring a pick was a great trade by Fletcher. 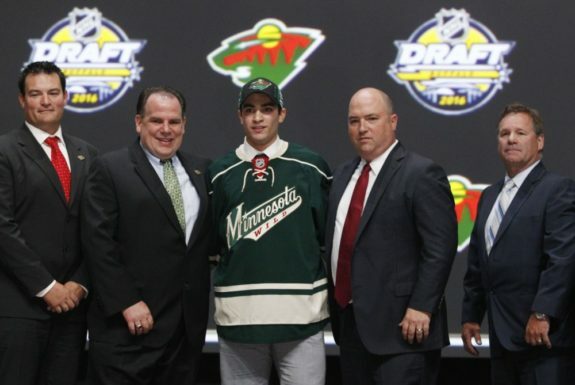 Kunin, Olofsson, and Seeler are all the big winners from these moves as they get a chance to prove their worth. The trio of young players have a handful of regular season games left and potentially some playoff contests to prove to the Wild’s staff that this is where they belong.